Dr. Shailesh Upreti Presented LiB Sustainable Supply Chain At AABC: Advanced Automotive Battery Conference in San Francisco – American Manganese Inc.
Larry W. Reaugh, President and Chief Executive Officer of American Manganese Inc. (“American Manganese” or “AMI” or the “Company”), (TSX.V: AMY; OTC US: AMYZF; FSE: 2AM), is pleased to announce that Advisory Board Member, Dr. Shailesh Upreti, presented “Lithium-Ion Battery: Sustainable Supply Chain to Build Sustainable Manufacturing” at the Advanced Automotive Battery Conference (AABC) on June 20, 2017 at the Marriott Marquis San Francisco, California. The presentation included American Manganese’s Recycling Process as part of the Sustainable Supply Chain. 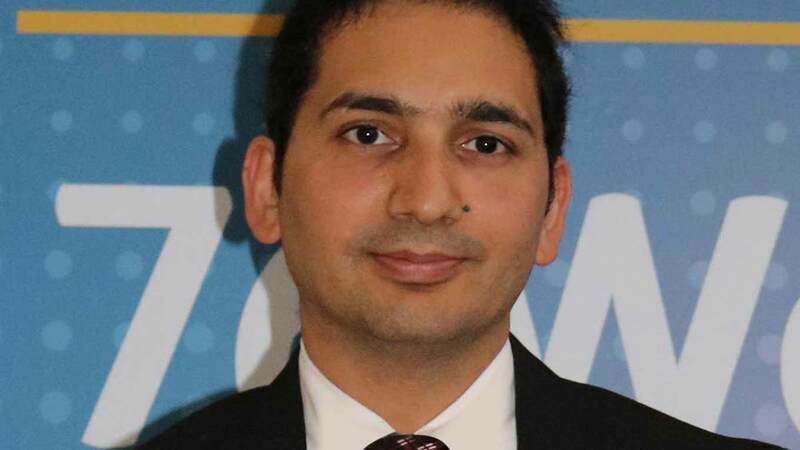 Dr. Shailesh Upreti, recently won a $500,000 cash award in USA Clean-Tech business competition (76W Clean Energy Tech Competition) held in New York. Dr. Upreti is a well-respected Li-ion technology expert and inventor of multiple breakthrough technologies. An IIT Delhi graduate, Shailesh has worked closely with Professor Stan Whittingham in the past and holds multiple US patents and their foreign equivalents in more than 30 countries. In addition to his technical degree he has a second masters in international business management in combination with extensive experience as an entrepreneur. Shailesh has successfully brought more than 5 different technologies to market including one in the material recycling space. His 16 years of extensive experience includes bringing new products to market, business development, Li-ion supply chain & industry networking, downstream processing and investigating organizational performance gaps. He is well integrated into the global battery industry and serves on various advisory boards. Shailesh is particularly adept in defining corporate commercial objectives, business support programs and achieving organizational goals while bringing new technology to market. Interest in the Company’s patented process has adjusted the focus of American Manganese Inc. toward the examination of applying its patented technology for other purposes and materials. American Manganese Inc. aims to capitalize on its patented technology and proprietary know-how to become and industry leader in the recycling of spent electric vehicle lithium-ion batteries having cathode chemistries such as: Lithium-Cobalt, Lithium-Cobalt-Nickel-Manganese, and Lithium-Manganese (Please see the Company’s January 19, 2017 press release for further details).